Buy GREEK: A Family with 11 Children Enjoyed Our Heartful of Greek Goodies! Boroume! 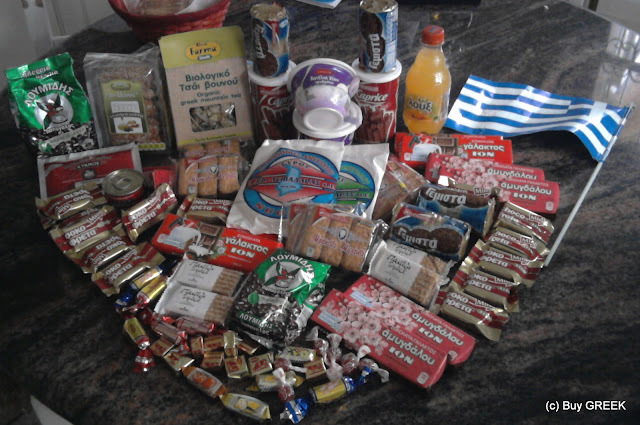 A Family with 11 Children Enjoyed Our Heartful of Greek Goodies! Boroume! 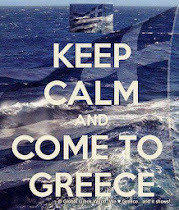 Remember this heartful of Greek goodies? In November 2012 we decided to hold a competition on our Buy Greek facebook page in time for Christmas and whoever won would get this heartful of Greek goodies as the prize. Rik Thys of Belgium was the winner of the competition but as he hadn't responded to our message in time we decided to donate the heartful of Greek goodies to this wonderful charity in time for Christmas and provide Rik with a basket of husband's own Cretan products when Rik comes to Crete this year - raki, wine, olive oil and honey - to take home instead! ...to Boroume with our best wishes! We picked Μπορούμε because of the great work that Xenia Papastavrou and the team do, making sure spare and left-over food doesn't go to waste and finds a home with people who need it! 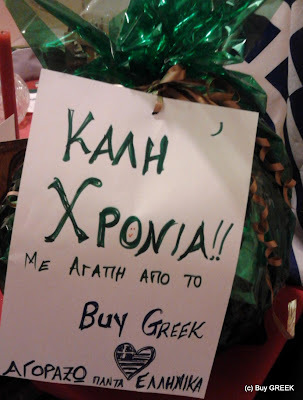 Xenia picked up the basket and found a wonderful family, who, with 11 children to feed and clothe during these difficult times, wouldn't have too much money to spare for little luxuries like this and who would be sure to enjoy these great Greek products! We won't share the photo of the family's father at the House of Boroume, but the smile on Mr Vassili's face holding the basket was enough for us! It spoke so much louder than words! 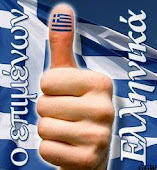 To Rik, to Xenia, to Boroume and to all our friends on Facebook! 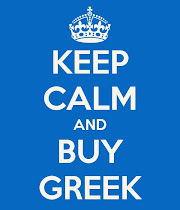 Buy GREEK - help sustain Greek jobs, and keep the Greek economy going!